United States | J.W. Wartick -"Always Have a Reason"
Demanding Liberty: An Untold Story of American Religious Freedom explores, largely, the life and thought of Isaac Backus, a Baptist pastor who helped navigate between the completely hands-off approach to religion that Thomas Jefferson argued for and the notion of theocracy other Americans were trying to establish. O’Brien’s look at Backus’s life begins with a look at the reasoning behind seeing the need for revival in the United States. Backus was struck by the need for this revival and dedicated his life to preaching. Ultimately, he moved to Baptist theology from his life as a farmer and part of the “separate church.” His theology developed through his life. It is in outlining this development that I found O’Brien’s book occasionally problematic. It is difficult to present such large theological issues in such a small space, but at times it seemed as though Backus’s movement theologically is one all should make–somewhat odd considering O’Brien says his own theological journey moved him in the opposite direction (from Baptist to Presbyterian). Perhaps this is a case of a biographer effectively conveying the convictions of their subject, but it was distracting at times here. It felt jarring to be pulled from a narrative of Backus’s life into an exposition of Baptist theology, only to be thrown back in again. Backus’s look at how religion and state should work continued to develop as well. His view ultimately helped influence how we view religious liberty today. Backus refused to affirm anything like a theocracy in which the state was simply established with a religion. But he also argued against a complete separation that did not allow the state to have some involvement in religion. The issue was to do so fairly. Backus had drafted his on bill of rights for protecting religious liberty which has many parallels to the Constitution that was ultimately adopted. Backus’s bill provided for all people to follow their own convictions regarding faith, though it also was rejected because many thought Backus was bringing false accusations about his own liberties being constrained. It is interesting, then, to see that Backus was a rival of Paine and Adams, and it was ultimately they who adopted a bill of rights quite similar to the one that Backus presented. Demanding Liberty is a somewhat uneven look at the life of a man who was more influential on the formation of the United States than most may think. It provides an interesting but flawed overview of his life and influence. For those interested in the topic of religious freedom in the United States, it is worth picking up for a read. Really Recommended Posts 9/12/14- science and faith, questioning leaders, and more! I have sought out another round of really recommended posts for you, dear readers. 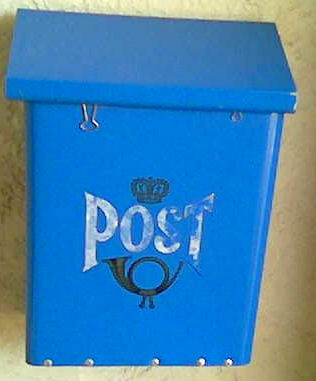 I hope these posts bring you edification, as they did for me. Let me know what you thought in the comments here, and be sure to drop a comment on those you appreciated! Is Christian Belief A Science-Stopper: 7 Quick Points– It is often alleged that Christianity becomes a science-stopper. People who are Christians, it is said, are somehow defective intellectually in ways which stall science; or perhaps it is instead that Christian belief leads to a kind of gullibility regarding scientific explanation. Here are seven points which argue that Christianity does not stop science. The forgotten lesson of Bonhoeffer and the American Church– What might the story of Bonhoeffer have to tell us for today? Has his life as a Christian been misunderstood? Check out this interesting article on the man, Dietrich Bonhoeffer. Beelzebul: Poop god– Who said the Bible has no comedy in it? Check out this post which talks about Beelzebul, the poop god, among others. Two Paths Affirming Women’s Ordination– How might one go about arguing for women’s ordination? Check out this post, which traces two ways that women’s ordination has been achieved historically and in modernity. Christology: Deity and Eternality– An excellent resource for those of us wanting to look into how to show the deity and eternality of Christ. I highly recommend keeping a copy of this somewhere close at hand. When Questionable Leaders Make Us Doubt– There have too often been Christian leaders in the news for poor decisions, making mistakes, or even being abusive. What do we do when these failures in Christian leadership make us doubt? My own thought is that we need to recognize that being Christian doesn’t automatically make us cease sinning, but here are some deeper insights I thought were helpful. I don’t often write about politics, but today’s unanimous Supreme Court decision to strike down an MA law which restricted pro-life speech within 35 feet of an abortion clinic has me smiling. This was a clear violation of free speech and I frankly think it says something about the desperation of the pro-choice case-makers. It seems that, at least in MA, the desperation got to the point where they realized if you can’t make your case from science or logic (links to posts arguing this), the next best thing would be to simply muzzle the opposition. Thankfully, in this case, justice was served and the blatant disregard for freedom of speech was overturned. Let me reiterate, this was a unanimous decision. What does that say about the legal status of such an attempt? I’m not talking about objective morality, I’m speaking only of the law of the land. Why even attempt to keep such a law around? Free speech is not a matter of freedom for those with whom you agree–it’s a matter of, well, actually free speech. And yes, I think that applies to those who are pro-choice. Let’s read your thoughts below (follow the comment policy–there are rules for your free speech here!). Pro-Life– Check out my posts arguing for the pro-life position. Sometimes, there are movies that come along and force you to think. “A Place at the Table ” is one of those movies. The film–a documentary–can be summed up by this: the issue of hunger is complex, and it is very much a problem in the United States. It shares a number of personal stories which reflect the truth of these statements. 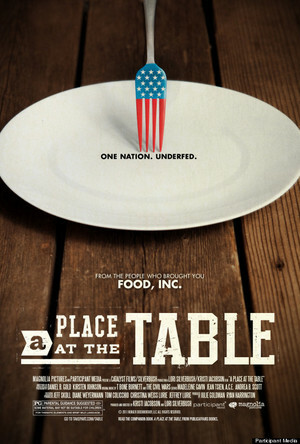 Although it touches on the lives of several people, “A Place at the Table” focuses its narrative around three people: Barbie, a single mother in Philadelphia who is struggling to find a job and feed her children; Rosie, a 5th-grader in Colorado whose family is trying to stay on their feet; and Tremonica, a 2nd-grader who is overweight, yet still involved in the food insecurity. Food insecurity is, essentially, dealing with a lack of ensured access to food. Concretely, it means that those who suffer from food insecurity are unsure of where their next meal will come from. The statistics shared in the movie state that one in every six Americans are struggling with food insecurity. These narratives serve to truly draw out the complexities of the issue of food insecurity. Barbie, at the start of the movie, is on food stamps. She is barely scraping together enough food to give to her children while also keeping herself fed. She is trying to find a job. Moreover, the amount that she gets for food doesn’t allow her to afford fruits and vegetables. Instead, she has to rely on feeding her children pastas and carb-rich foods. When she eventually gets a full-time job, she almost immediately loses her benefits, which leaves her with the same problem because she’s still trying to get on her feet. Tremonica is overweight, but it is actually because her family doesn’t have enough to eat a healthy, balanced diet. Yes, she’s getting food, but her mom can’t afford to buy fruits and vegetables. Moreover, the area they live in makes it extremely difficult to get fresh produce because major shipping doesn’t get profitability in shipping to remote locations. Rosie’s family of seven lives in one house in order to survive. They often run out of milk and food in the middle of the week, and so rely on dry cereal to eat for some meals. Rosie benefits from the food bags a local church distributes, but needs more support. A neighbor, who runs a ranch, has had to take on a second job in order to feed his family. Barbie and Tremonica’s cases are also used to focus on the issue of subsidizing crops. Farm subsidies have been given billions of dollars, which keeps the costs of certain foods low (such as grain, corn, and the like). Yet other foods, like fruits, are not subsidized as heavily or at all, and so they are more expensive. When someone has a very limited budget for food, they see a pound of strawberries for five dollars while a bag of chips is 50 cents. It is easy to make that decision when you’re a parent just trying to make sure there is food on the table every day. Rosie’s case also shows the complexities of food insecurity. She gets meals every day, but they are often small and lack the nutrients she needs to survive. Her education suffers because a lack of nourishment leads to inattentiveness in class. The broader issue is painted: when children are being sent to school hungry, they aren’t learning as well as they could, which perpetuates the cycle of poverty and food insecurity. Another big issue discussed in the film is that of school lunches. The amount the government gives to schools to provide a meal is somewhere around two dollars (sorry, I don’t remember the exact amount the movie mentioned). This is not enough to pay for a well-balanced diet, and so contributes to the overall problem for children lacking nutrition. Although the film claims to offer no answers, the people who are interviewed offer plenty. Perhaps the biggest complaint I have with the film is that it almost makes one ask too many questions. The people who are interviewed -some of them writers and experts on the topic–offer a variety of often contradictory solutions to the problem. Just as an example, one woman argued that a living wage is the solution: if we raise minimum wage to the point that people can live off of it, then we’ll solve the issue. Others argued that more funding for the government assistance programs already in place would at least reduce the issue. Yet the film only touched on the notion that perhaps this issue is more complex than a single solution. Consider the solution of raising minimum wage to a “living wage.” First, there’s the question of what qualifies for a “living.” What does it mean to be able to “live”? Is there a certain standard of comfort? Is it more than arbitrary? Or is it just being able to some kind of food, shelter, and clothing? If minimum wage is increased, companies tend to cut hours or even employees, which may actually contribute to, rather than solve the problem. There’s also the notion that all companies have some kind of unlimited wealth of profit that they are unwilling to tap into, but that seems to be false. Some companies would not be able to afford to pay more. I’m not trying to say that any of these solutions are right or wrong. Instead, I’m saying that we can’t oversimplify the issue and make it one-dimensional. As one of my friends mentioned: it’s a matter of worldview. That, I think, is the core of the issue. Worldview. How is it that we let people go hungry in a country in which we overproduce food? It was heartening to see that pretty much all the experts interviewed on the topic agreed that religious organizations have done much to help by providing free meals and more. However, that alone is not enough. There is a stigma attached to food insecurity which is unfair, at best. This was observed in the film as one of the men who had to go to a food pantry to get food talked about how he was embarrassed and ashamed to do so. Moreover, there is often a knee-jerk reaction against “handouts” when conversations come up like this. It is easy to find anecdotal stories of abuses of food stamps and the like. Yet, for the Christian, it seems that we are called to feed the hungry. We are called to set aside our biases, our pride, and we are called to feed the hungry and take care of the poor. We are called to be worldview changers–working towards an end to hunger. This doesn’t mean the complexities just disappear. My point here is that we, as Christians, must be involved in this movement. Ignorance and apathy should not be an excuse. All should also feel the powerful pull for the love-of-neighbor which is ingrained into us by our conscience. Moreover, as one of the experts pointed out, we can view this as a kind of patriotic issue: do we really want to say we’re proud of a country in which one-in-four children goes hungry? Ultimately, “A Place at the Table” is worth seeing. One is left walking away from the movie with a new awareness of the problem of food insecurity. However, would have been nice to have lengthened the movie in order to explore some of the possible solutions and complexities more fully. It is important to neither oversimplify nor dismiss this issue.